When veterinarians see older pets, it’s very common for their owner to make comments like “she’s showing her age” or “she’s slowed down a bit.” To me, that always sends up a red flag. Age isn’t a disease, and if there is a change in your pet’s behavior there is generally an underlying reason. It could be early heart disease or some other internal problem, but frequently it’s due to arthritis. 1. It may initially show up as sluggishness or problems getting up from sitting or lying down. Your pet may just not want to exercise, and sometimes cats will stop getting in and out of their litter box. 2. It’s always better to evaluate them early. Some therapies, especially supplements, are better started at the earliest evidence of a change rather then when your pet can barely walk anymore. 3. Pain is much easier to prevent than it is to control once it starts, and pain can become a disease itself once the nervous system is sensitized by chronic pain. 4. All dogs and cats are different. What works well for one pet may not work as well for the next one. DON’T give medication your friend’s vet prescribed without your veterinarian’s approval! Also, cats can only tolerate certain medications, and just because a medication safe in dogs doesn’t mean it’s safe in cats! 5. Obesity is a major contributor to the progression of arthritis in both dogs and cats. 6. Some medications can have significant side effects. Be sure to discuss these with your veterinarian. 7. OTC pain medications such as Ibuprofen and Naproxen are not safe in pets and can cause life-threatening toxicities. Others, such as acetaminophen and aspirin are sometimes used but don’t use them without consulting your veterinarian first. 1. Supplements such as glucosamine/chondroitin sulfate and omega-3 fatty acids. We frequently use both. Retrospective studies have shown that omega-3 fatty acids are very effective in decreasing the progression of arthritis in dogs and horses. 2. Adequan. Adequan is an injectable chondroprotectant (“joint-protector”) that can control signs of arthritis in dogs and cats. 3. Therapeutic laser therapy is FDA approved to decrease joint pain and inflammation. We offer therapeutic laser treatment at our hospital. It is easy and painless. 4. Acupuncture can decrease pain. We offer referrals for acupuncture. 5. Dietary management. Dietary management can have multiple benefits. Prescription joint diets like Joint Mobility, J/D and JM are rich in fatty acids and have been shown to be very effective. Prescription weight loss diets like Satiety, R/D and OM combat obesity. 6. Non-Steroidal anti-inflammatory Drugs (NSAIDs) like carprofen, meloxicam, grapiprant, and robenacoxib are a major part of arthritis therapy as they control both pain and inflammation. 7. Adjunct pain medications like gabapentin and amantadine can be used with NSAIDs to control pain. Tramadol, an opiate, is frequently used, but studies have questioned its efficacy in dogs. 8. Physical therapy. PT for pets has become widely available. 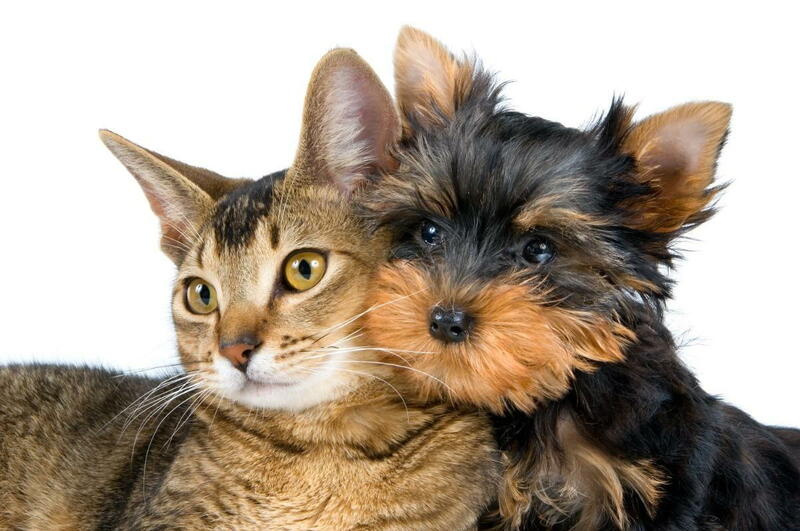 We frequently refer pets to veterinary physical therapists. 9. Surgery. Conditions such as hip dysplasia, elbow dysplasia, cranial cruciate ligament rupture, luxating patella, and others can be surgically repaired or managed. 10. Other holistic therapies are available at referral hospitals. If you think your pet might be having signs of arthritis pain, contact us to set up an appointment.